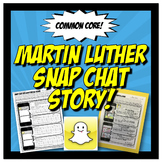 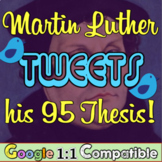 Martin Luther Tweets His 95 Theses! 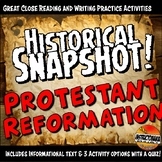 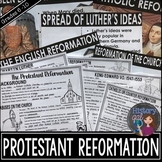 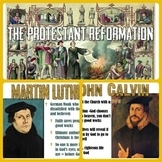 The Protestant Reformation & Modern Day! 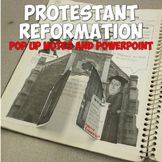 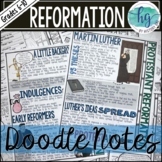 This Guided Notes handout accompanies the "Protestant Reformation" PowerPoint. 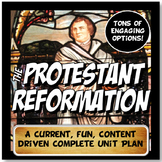 If you like what you see here, keep in mind you can get ALL of the materials in Unit 6 by buying the Unit 6 Bundle. 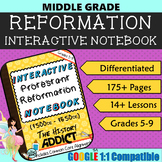 Just search for it in my Store. 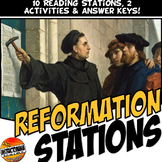 You spend less if you buy the Bundle! 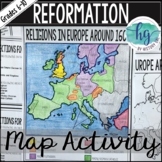 In this lesson, students learn about the causes and effects of the Protestant Reformation by taking on roles from the Reformation and conducting a class debate. 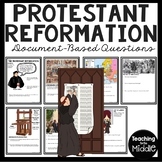 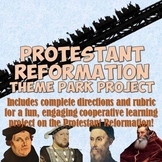 A 9 slide powerpoint sets up the Reformation, gives students their directions, and explains a few background details they need to know.